If you were thinking about buying a used car then stay tuned, because today I’m going to show you how to quickly check out a used car for purchase. Now, all modern cars are computerized, so if you have one of these OBD2 readers, plug it into the car and you’ll learn a lot. And realize that these OBD2 scanners will fit any car from 1996 to the present. So if you don’t have one, it’s a good idea to get one. Some are as cheap as 40 bucks. You just plug the code reader right in. It snaps in, then start the car. Then the first thing you want to do is see if there’s any codes. So we’ll choose Read Codes. Well, there is no code, so that’s good. Now, if there were any trouble codes, that means there’s a problem with the car. There aren’t any, so we know that at least there’s no solid trouble codes. Then you also want to check a thing that’s called drive cycle monitor. And in this case, you can say it says all monitors are OK. And that’s really important to check also, because sometimes the owner will have the computer reset and it will have problems. Then it would say some of the monitors weren’t OK yet. You wouldn’t want to buy the car then. Now, the next thing to do is to park on a nice, flat surface, and then look under it to see if there’s any kind of oil leakage that’s dripping down on the ground. ﻿ You can learn a lot by jacking up a car and looking at the underside. You want to look at the CV joints to make sure they’re not ripped or torn. And you can check the bottom of the engine and transmission. And in this case, they’re bone dry, so they’re not leaking at all. While you have it jacked up in the air, you can pull on the tires to see if there’s any suspension where the tire would wobble back and forth. Now, this car is pretty new. It’s only about a year old. So I know that it runs pretty good. We’re mainly going to be looking for body damage to see if the car’s been wrecked or flooded. So you slam the hood, and then see if it’s aligned correctly the whole way around. Look at the seam on one side of the hood and compare it with the seam on the other side of the hood. And in this case, the right seam and the left seam look exactly the same, so the hood hasn’t been crumpled in. And do the same thing on all the door seams to make sure they look the same front to back and side to side. So we’re going to the other side. And they all match, so it wasn’t whacked one side or the other. Now we’ll pop the trunk open and look inside to see if it’s been rear ended. Well, the seams inside are clean and they’re all factory-looking. And now we’ll pick up the rugs and look inside. And sure, a little cardboard stuff is ripped. But more importantly, all these factory seams are still exactly as the car was built. They haven’t been touched and done over, so it hasn’t been rear ended. Then you want to go up and down the car looking at the paint. And look at the reflections, because that way you can see if there’s any little dings. Hello, Richard here, I have been dealing with used cars for eleven years and today I would like to talk to you about what to look for when you buy a used car. What to look for when buying a used car. One thing you need to look for before you even waste your time driving the car or wondering how the car was taken care of, get a carfax on it. Get some kind of history on that vehicle that is third party. That you can count on, no one else that has any involvement in the vehicle itself has anything to do with. Look at the inside of the vehicle make sure it’s not an inordinate amount of wear and tear on it Make sure that they detailed the vehicle and that they brought it up to standards that you would want in your vehicle. Go to the hood. Lift the hood and look underneath. Is the engine clean? Did they take the time to make sure that they cleaned up everything in there? Battery terminals look ok? Check the oil, does it look clean? Does it smell burnt? If it does, you might want to pass on that vehicle. Check the tires out. Make sure the tires have tread on them and a good amount of tread too. Not down to the tread bars. Every tire has a tread bar on it so you can check it just by putting your finger down on it to see how close it is. ﻿ At the back of the car you run your finger right under the tailpipe and if your finger comes out nice and black and dirty, you have a healthy engine. If it comes out white or green, you might want to pass, there could be a better vehicle out there for you. Now you’re ready for your test drive. When you get into your test drive, make sure you don’t just do the industry standard of right turns only. Drive the vehicle the way you’re going to use the vehicle. That’s the only way to figure out if the car is right for you. Make sure it has the amenities you need. Check all the buttons and bells and whistles on it, is that what you want? Does it have the power you need? When you are driving down the road does it pull to one side or the other? These are things you need to check. When you apply the break, make sure it’s not pulsating. That can be a sign that you have a break job on the horizon and there is no reason to buy a car that is going to give you those kind of problems right off. Bring the car back in, talk to the sales person about what they know about the vehicle. Also talk to them about what they do to the vehicles when they bring them in. Ask him to be definitive about what they do with their cars. They should be able to show you a report about it. 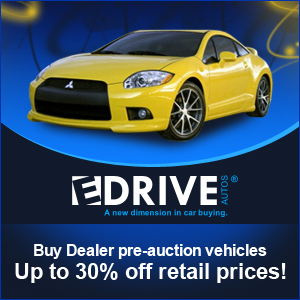 Remember, when you buy a used car, somebody else has taken the hit for the depreciation. 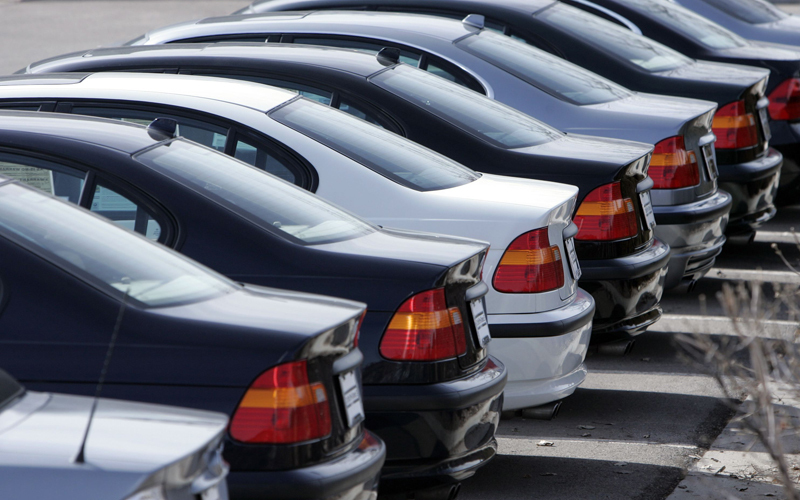 As long as you follow these points, you can limit your risk on buying a used car.